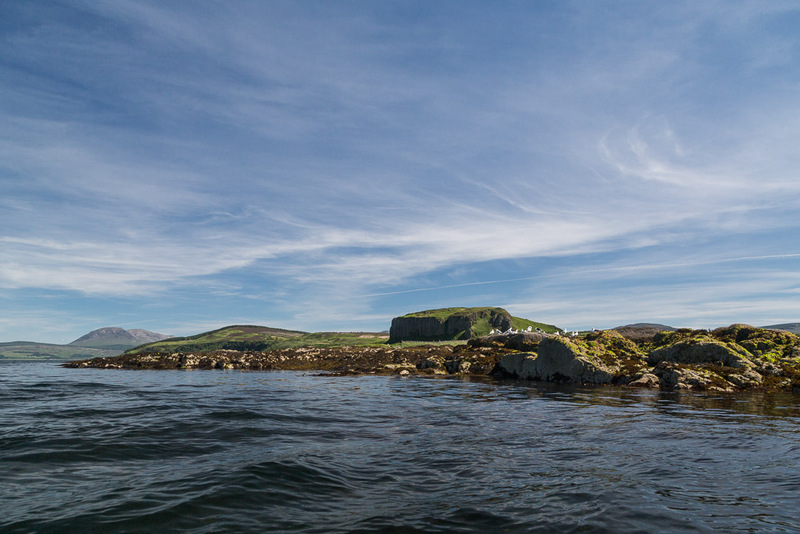 Sea kayaking with seakayakphoto.com: Diverse plans, sills and dykes at Drumadoon. 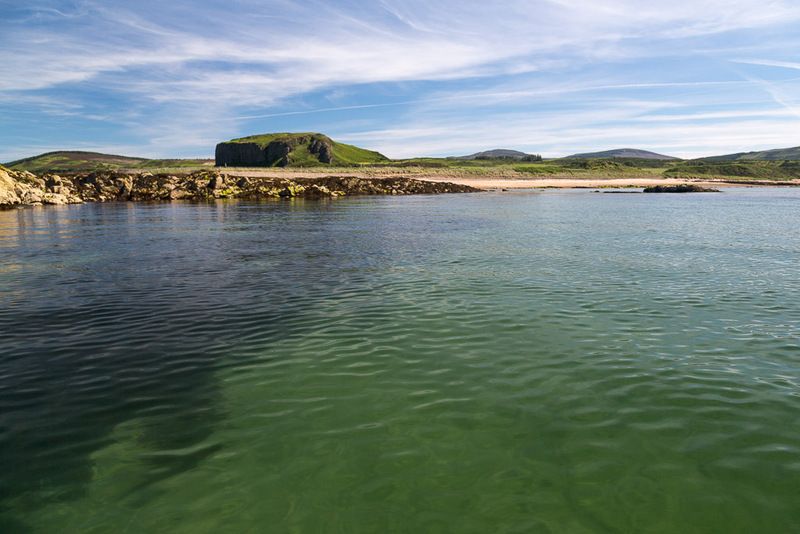 Diverse plans, sills and dykes at Drumadoon. 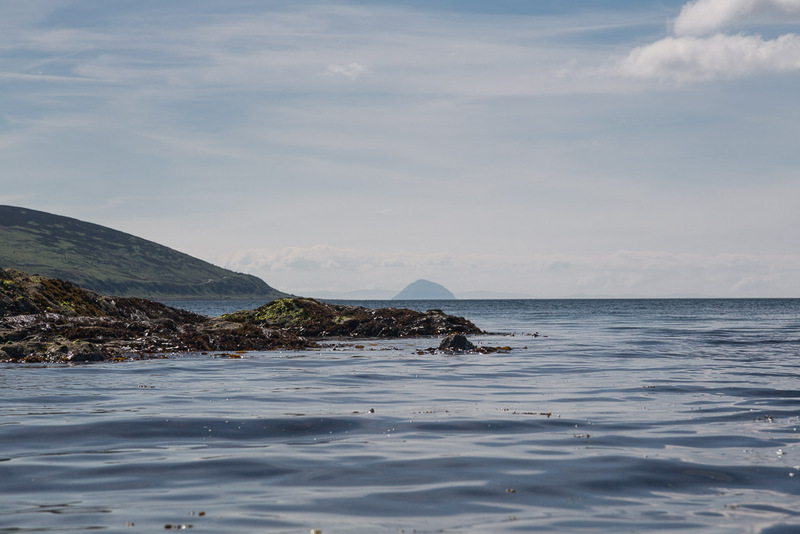 ...Ailsa Craig was still 32km distant. 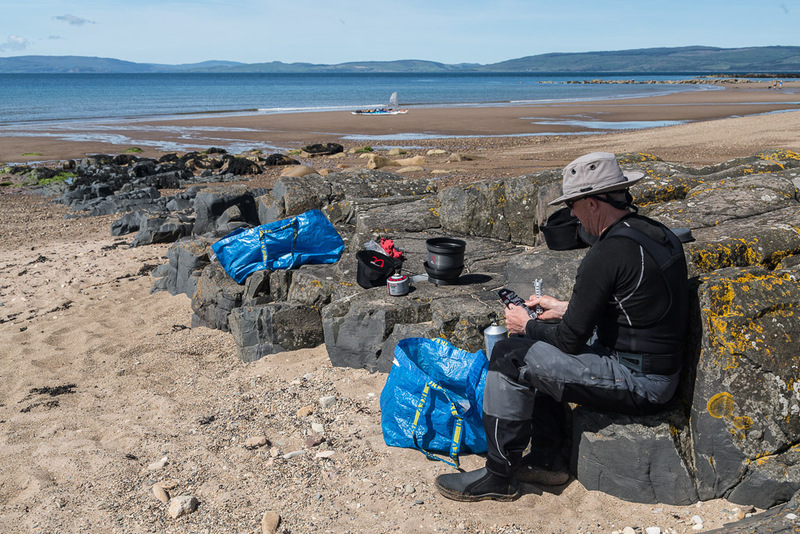 ...stopped for first luncheon on a convenient basalt dyke on Blackwaterfoot beach. The dunes above the beach gave some shelter from the rather chilly north wind. There was a little further diversity in the weather forecasts. Some were predicting F2-4 northerly the following day others were predicting F4-5 northerly. We decided to go for Ailsa Craig if it turned out to be the former. At F4-5 northerly the 24 km crossing to Ailsa Craig followed by a 16km crossing to Girvan would be a bit out of our comfort zone so we would head north to Brodick instead. 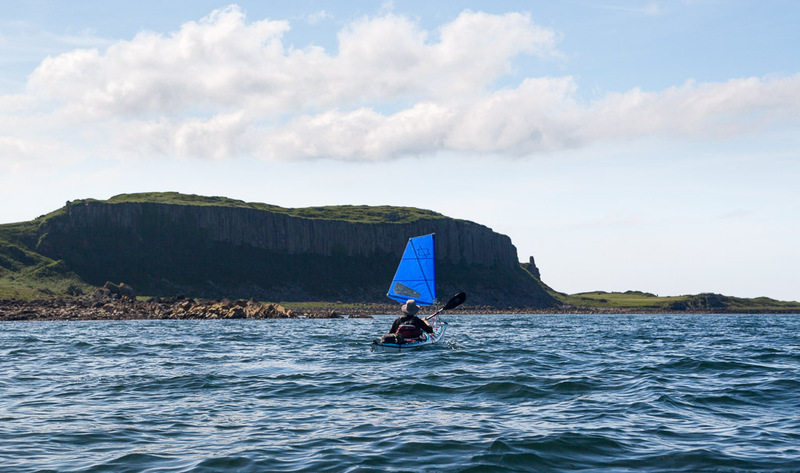 We spent some time texting our plans home and to Phil who hoped to paddle solo out to Ailsa Craig the following day and join us for an overnight camp on the rock.